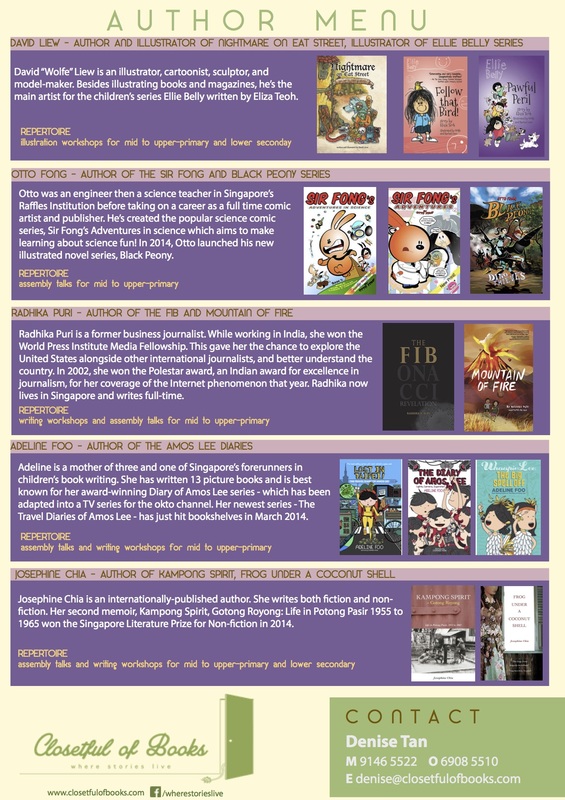 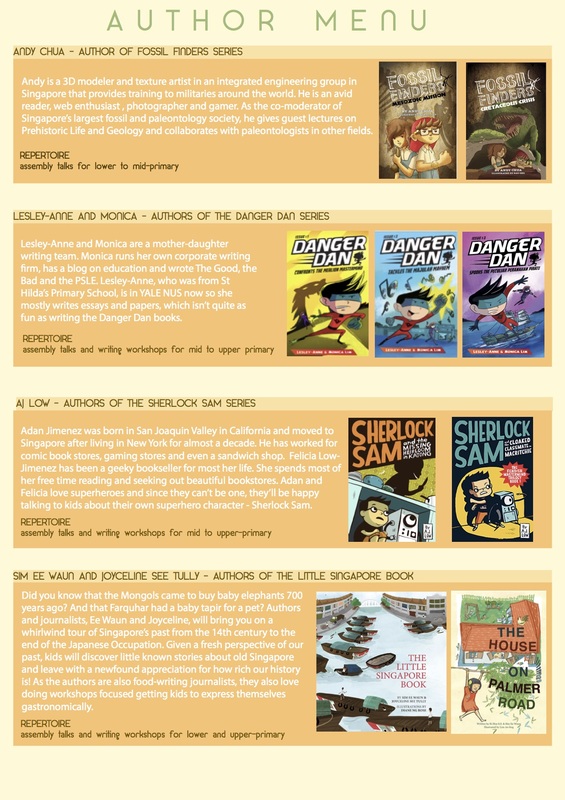 Closetful of Books works with some of the loveliest authors and illustrators who live in Singapore and the region to develop workshops and talks for pre-school, primary and secondary school kids. 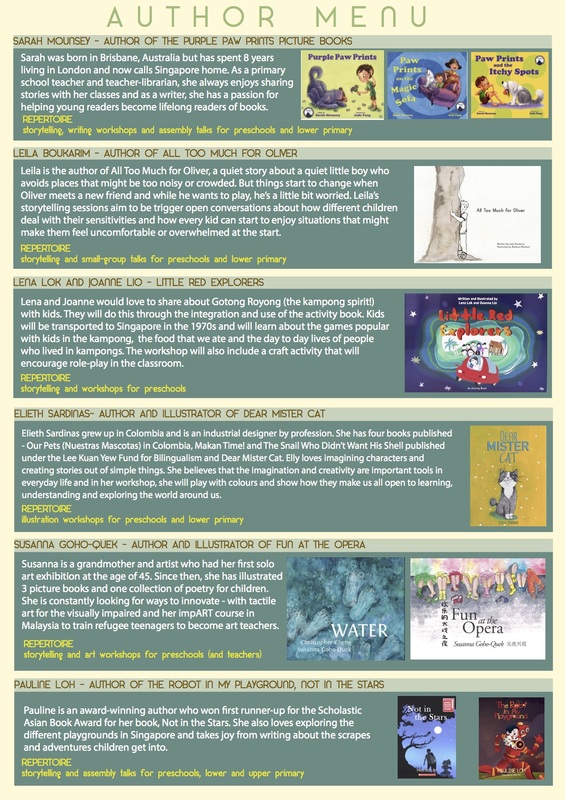 We love doing workshops on illustration, publishing, creative writing, storytelling and really anything at all as long as a story is involved! 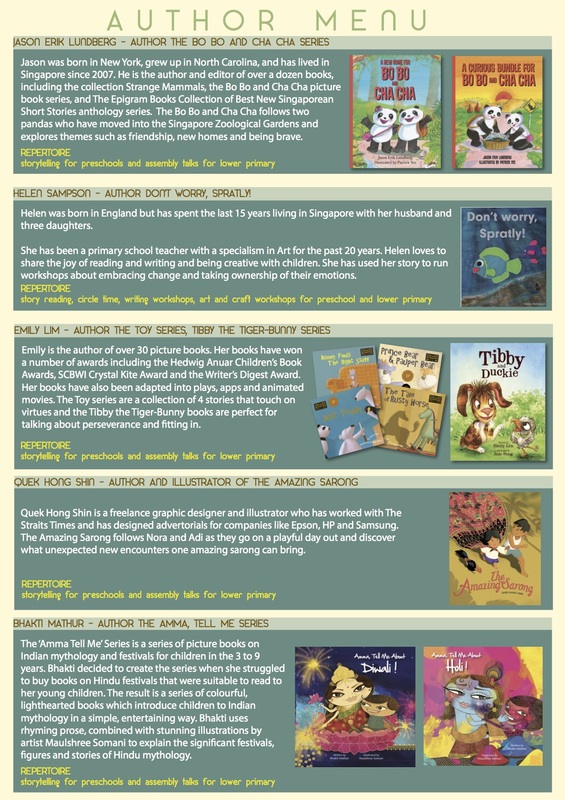 The authors and illustrators would love to visit for a talk in your school or library and if you email stories (at) closetfulofbooks (dot) com, we would be happy to offer advice on who might work best with your audience and event.